A Guide to Network Rail Accident Claims – How Much Compensation Can I Claim? According to figures provided by Network Rail around four million people travel by rail every day, that around 1.7 billion per year. Those customers have a right to expect a certain level of service from Network Rail, and that includes making sure that they are safe and protected from risk whilst travelling. Network Rail staff are also entitled to the same level of protection; Network Rail have a duty of care to anyone who travels on their trains, whether they are a paying customer or a company employee; nobody should be exposed to any kind of potential physical injury or illness. It goes without saying that accidents and mishaps can take place on a train through no fault of the customer or employee. If you have been in this position, then you may have the right to pursue network rail accident claims. With a slogan like network rail everyone home safe everyday, they take customer care seriously, unfortunately accidents do happen, and when they do through no fault of your own then you might be able to make network rail accident claims. Our helpful guide has been put together to give you advice that may prove useful if you choose to make a claim for personal injury against Network Rail for any illness or physical injury caused by an accident either on a train or because of one. Can I claim for an accident on Network Rail? Injuries while boarding or disembarking the train – Can I claim? 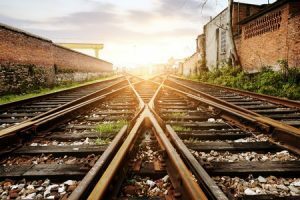 What can be claimed for after a Network Rail accident or illness? How much can I claim for a Network Rail accident claim? Why choose us for your Network Rail accident claim? One of the most problematic points to network rail accident claims is the issue of who liability lies with. If you have been injured on a Network Rail train, whether as a result of a slip, tip or fall caused by anything from spilt drink or food on the floor or because of damage to an item of furniture or the floor covering in the train carriage, or even because of food and drink that has been served at dangerous temperatures then you may have a case for network rail accident claims. Network Rail have a duty of care to ensure the safety of the passengers on their trains, and Network Rail Safety rules extend to the correct training being put in place for their employees to avoid accidents happening, Network Rail safety rules are in place to prevent accidents happening. If your employer has not put in place the appropriate health and safety standards and you have had an accident at work, Network Rail might be liable, and you may have valid network rail accident claims. If you have become ill as a result of food poisoning caused by incorrectly prepared food items, poorly storage and overall poor sanitation then you may also be entitled to claim compensation. If you have been injured in a workplace accident, Network Rail have a duty of care, whether your injuries occurred as a result of poor maintenance to property or equipment, or even a lack of appropriate training then you may be entitled to make network rail accident claims. If you are wondering who do I claim against for a railway injury?, How much can I claim for an injury on the train? or even how much can I claim for a level-crossing injury? then get in touch and speak to one of our experienced solicitors who will be happy to discuss the claims process with you. In some cases, unfortunately, the motto of Network Rail, “Everyone home safe everyday” is something that does not happen, and whilst these occurrences might be infrequent, accidents can occur and if you were not at fault then you might be entitled to pursue network rail accident claims. Network Rail, like all other companies involved in the transport industry, have a duty of care to both their customers and staff. This includes, but is not limited to, the upkeep of their vehicles and the level of training that that provide for their staff. If they breach this duty of care and an accident occurs as a result, then they can be held accountable for not only the accident but also any injuries that are sustained as a result of the accident as network rail accident claims can be filed. If you have been injured whilst on a Network Rail train then you should also let them know. This can be done via the Network Rail, report a problem function on their website, Network Rail incident reporting is vital to help Network Rail see where there are issues that they need to look at that may lead to network rail accident claims. If you have been injured as a result of a Network Rail accident that was not your fault, then you may be entitled to compensation as one of the network rail accident claims filed each year. Please contact our team of experienced claims handlers who will be happy to discuss the details of your case with you as part of our free no obligation consultation process. Whilst you might feel awkward making a claim for compensation against your employer for an accident at work, network rail have a duty of care and there should be certain procedures in place. If you are injured because there are not then you should not feel guilty about making a claim; it may be that as a result of your network rail accident claims for a workplace accident, Network Rail look at their procedures and make changes that could hopefully prevent another employee getting injured in the same way in the future. Slips, trips and falls in the workplace can occur as a result of spilled food and drink, if you work in food preparation for Network Rail it is important that you have received the appropriate training and know the correct network rail policies, procedures and routines for dealing with these spills that often lead to network rail accident claims. They can also happen in communal parts of the train as well and again the correct clean up procedures need to be in place to prevent these types of accidents happening. Broken items of furniture and other equipment can also be the cause of slip, trip or fall accidents. Network Rail health and safety policy statement advises customer that they have a duty of care to anyone using their services to make sure that these items are replaced or repaired as soon as possible, or the appropriate measures taken to ensure that they are clearly marked as unsafe for use. Unfortunately, there is a potential for mistakes to occur anywhere food is prepared; if ingredients are substandard or have gone off, if they have been stored or cooked incorrectly and then served there is a potential for people to become ill or suffer from food poisoning, especially if network rail policies and procedures have not been followed. If you have become ill as a result of food you have consumed whilst travelling with Network Rail then you may be entitled to claim Network Rail accidents compensation. If you have any questions regarding this or would like to discuss the details of your case, our experienced legal experts will be happy to help you make sense of network rail accident claims. Correct preparation of both food and drink is just as important as the way in which it is handled, and the hygiene practices employed in any kitchen. If food and drink are prepared to a temperature that is too high and then served they can not only cause injury to the person who consumes them, but they also have the potential to cause injuries to those who serve them, especially if they are carrying them, if they are spilled. Cutlery and plates can also cause injury if they are too hot, both to the customer and the server. If you have been scalded or burnt as a result of food, beverages or other items related to the serving of such, whilst on a Network Rail train, then you may have a case for making network rail accident claims. If you have sustained an injury boarding the train or an injury getting off the train then you may be entitled to claim compensation if Network Rail are found to be at fault. Slips, trips and falls can happen all too easily and if your accident was caused because you slipped as a result of a spill that had not been cleaned up, tripped because of damage that had not been repaired or were injured because of sharp edges that had not been covered then you might have a case for one of the network rail accident claims filed every year. Our team of specialists are available to discuss the circumstances of your accident whether you got an injury boarding the train or an injury getting off the train and will be able to tell you if they feel you have a good case for network rail accident claims. Take photos of your injuries. If possible, you should also try to collect photographic evidence of the scene of your rail travel accident. We understand that following your rail travel accident your number one priority is getting better, but once you feel well enough to proceed you may choose to begin considering taking legal action. At this point it would be a good idea to discuss your case with a legal professional, we can talk through the details of your case with you as part of a no obligation free consultation and advise you if we feel you have grounds for a Network Rail accidents compensation claim. Having all of the above information to hand before you begin network rail accident claims can help. Slip, trip or fall – these can occur when the floor of the train is wet, as a result of a spilled beverage or food, or even on the interface that is found between the platform and the edge of the train step. There is also the risk of tripping over incorrectly stored luggage. Damage on the train – broken seating, damage to the floor surface, exposed sharp edges due to broken fixtures, and even faulty train doors could cause accidents. Accidents related to food and drink – hot drinks that have been heated to a dangerous temperature, or incorrectly stored food items which could lead to food poisoning. Regardless of the reason for your Network Rail accident, if the fault for your accident lies with someone else than you may have valid network rail accident claims. Please contact us to see if you have a Network Rail compensation claim that we can help you take forward. Medical expenses – This relates to any expenses that you have had as a result of any injury or illness you have had as a result of your Network Rail accident. This might include medications, equipment or even visits to medical specialists that are not covered by the NHS. Travel costs – If as a result of your injury you require frequent check up with your doctor, the costs for the travel to and from these appointments can be covered. General damages – Trauma and suffering that have occurred as a result of your accident may have long lasting effects on your overall wellbeing. Care claim – If as a result of your injuries you required extra help in the home, whether this was a nurse or just general help, you can claim the costs that you have had to pay out for this back. Loss of earnings – if as a result of your injuries you have been required to take time off work and this has resulted in a loss of earning then you should be able to claim for these as well as any potential future earnings. There are a number of costs that you can be compensated for in network rail accident claims, not limited to the list above. We will be able to help you ascertain which costs should be included in your claim to make sure that you receive the maximum amount of compensation you are entitled to. We operate a No Win No Fee agreement which provides you with a simple and effective way of dealing with your network rail accident claims. No Win No Fee means you do not have to find the money to pay your legal fees upfront, this can help you by easing any financial worries at a time when you may already be under a great deal of stress. If we are unable to secure you a payout for you through Network Rail injury Compensation then you will not have to pay anything, this should offer you great peace of mind as we proceed with your claim. Our network rail accident claims team are here to help you at any time if you have any questions regarding the No Win No Fee procedure or any other aspect of your case. If you would like to discuss exactly how the No Win No Fee network rail accident claims procedure works then please contact us. We will be happy to discuss what it involves and how it works with you. We want you to be assured at what is already a stressful time that you do not need to worry about finding the money to pay solicitor fees before receiving Network Rail injury Compensation. Clients want to know “How much can I claim for an injury on the train?” Every compensation claim is different and each one is judged in its own unique set of circumstances. We have included a table below as an indication of the average compensation payout amounts you might expect to receive as a result of injuries arising from various different Network Rail accident related injuries. The actual amount that you may receive will vary from case to case, so please refer to this table only for guidance on suggested amounts for network rail accident claims. You may also want to know “How much can I claim for a level-crossing injury?” and again the answer will vary from case to case, any figures you find online should be used as a guide only. What we are able to do is provide you with some guidelines regarding the average compensation amounts for Network Rail injury compensation payouts. If you have any questions in respect of any of the information provided in the table, possibly there is a particular point that you require clarifying around network rail accident claims, then please contact us, as we would be happy to discuss this with you. Neck injuries £ few hundred pounds - £112,750 Higher payouts are for the worst injuries. Prognosis, pain, disability and exacerbation of pre-existing conditions will be taken into account when calculating compensation. Shoulder injuries £ few hundred pounds - £36,500 Brachial plexus injury sees a higher amount while pain, disability, prognosis for recovery and pre existing conditions being made worse will be used to determine the amount awarded. We have years of experience working with compensation claims, which means we are uniquely placed to help you with your claim. Over the years our team of experienced experts has been instrumental in claiming millions of pounds worth of compensation for our many clients. Our free consultation provides a good starting point for your compensation claim and will help us to make sure that we have all the fact so that we can strive to achieve the best possible outcome for you. If you were wondering Who do I claim against for a railway injury? Then look no further – we can help you with that. Our team of experts have years of experience, and we understand that it is important to make sure that you feel at ease throughout the claims process. You are our priority and can be assured that you will be treated with the care you deserve. When it comes to a firm who are experts in their field, have the experience you need and can help you to maximise your compensation claim payout, then look no further than Legal Expert. If you have recently been a victim of a Network Rail Accident, and you want to make a claim then please get in touch with us on 0800 073 8804. We will begin by assessing your case on a free no obligation consultation basis, and then one of our experienced claims handlers will be able to proceed with your claim. Whether you have suffered a slip, trip or fall accident or have been burnt or scalded as a result of an injury caused by hot food or drink on the train we are here to help you with your compensation claim. If you been involved in a slip, trip or fall this link contains useful information regarding the possible amounts of compensation you might be able to claim as a result of your injuries. Burns and scalds can be painful, sometimes they are more severe than you initially realised the NHS page provides important information on the symptoms of scalds and burns, how to treat them and most importantly when to seek medical attention. Just like any establishment that provide food, Network Rail have a duty of care to their customers when it comes to the food they offer. If you have had a problem in this respect this link will help you report them to the relevant team. This link contains information you might find useful on the Network rail safety vision. Have you had an accident in a train station? find out how much compensation you can claim.